Love from the Other Side by Carol Shimp………. In Love from the Other Side, Carol Shimp delves deep into her own experience with the spiritual and paranormal worlds. Carol knew from an early age that she had a connection to the spirit world but did not feel like she could discuss that connection with anyone. When her mother died, she decided it was time to find out more about her special link to those who had passed on from their physical existence on this earth. Her own confidence in her abilities was ultimately tested one day while she was shopping with her daughter. That is when Carol first ran into the spirit of her former fiance/high school boyfriend. He becomes an almost ever-present and quite disturbing part of her life. In order to find out what he wants and how to help him “move to the light”, Carol visits with a spiritual guru. Together they work to uncover what “Danny” wants and needs from Carol. Honestly, this book will not be for everyone. Readers must come to it with an open mind. It is an interesting story and I was curious to find out how it all came together. But readers wary of all things spiritual will likely find their limits tested when it comes to what they are willing to believe as real. I have no doubt that this book is an honest portrayal of what Carol experienced. But Carol’s encounters are surprising, especially when “Danny” visits Carol while she is sleeping in bed with her husband. 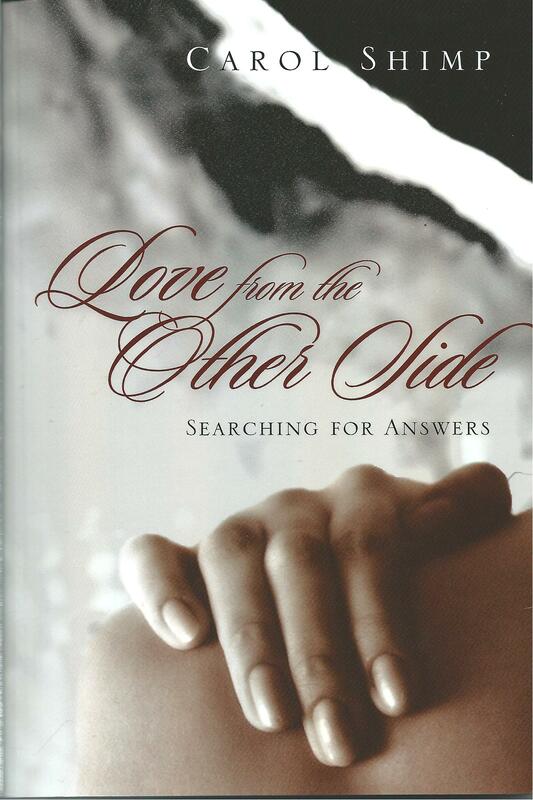 Love from the Other Side is Carol’s first book and the writing is simplistic so it is a quick read. If you want to find out more about her story, you can visit her website. ← A Discovery of Witches by Deborah Harkness…….